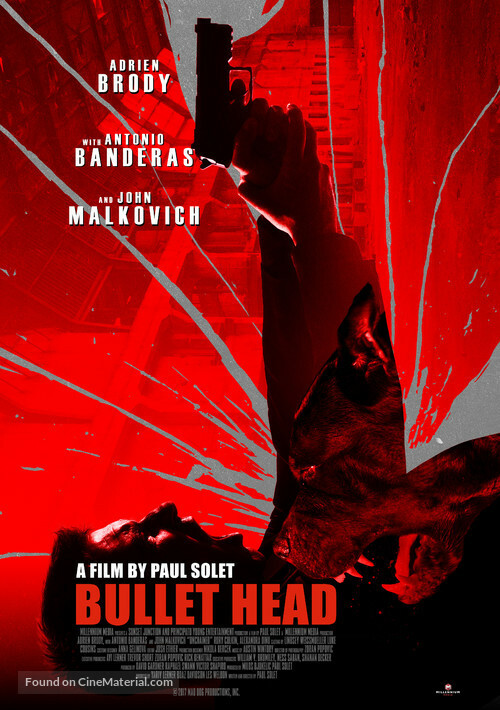 This is a trailer for Bullet Head. It was written and directed by Paul Solet, and stars Adrien Brody, John Malkovich, Antonio Banderas, Ori Pfeffer, Alexandra Dinu, Velizar Binev, Owen Davis, and Cristina Segovia. Saban Films is scheduled to release it in select theaters on December 8, 2017. Check out the synopsis and trailer below.